In going through my father's files after his death, discarding things at a rapid rate, I was fortunate enough to register on this little pamphlet as something of potential interest before discarding it. It opens up a window on a part of the past -- "catching a tramp steamer" (well, maybe not a tramp) -- about which I knew nothing. I couldn't find the pamphlet on the web, so I scanned in the text and photos, and present it here for your enjoyment. 1. 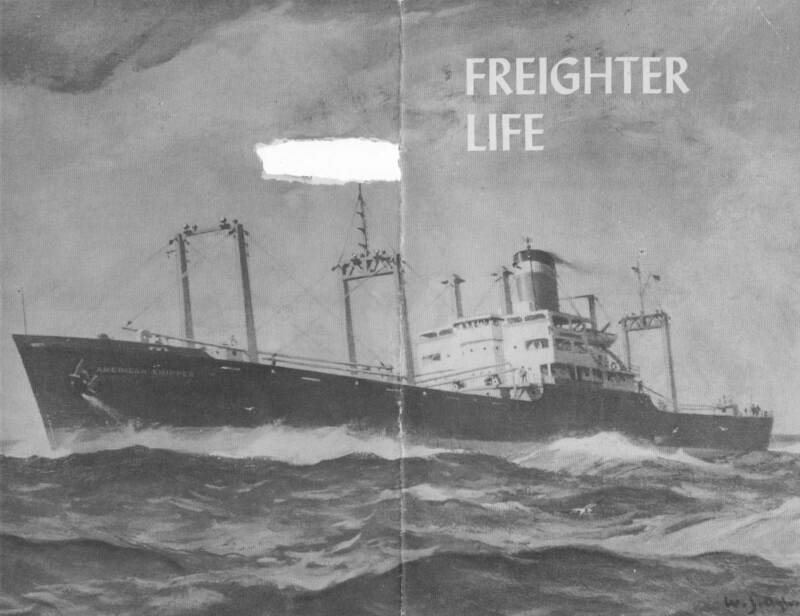 What is a Freighter?